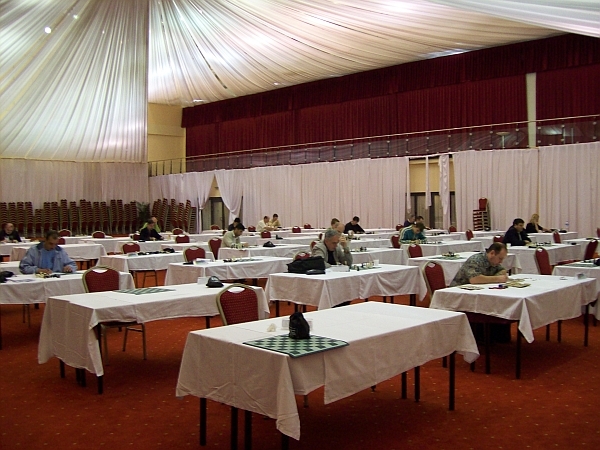 The closing ceremony of the first European Festival of Chess Composition ever held in Turkey took place in the Myra Hall in Limra Otel at 8 Pm on April 2. First Mr. Avner gave closing speech. " We are glad to be here. The organization was wonderful, so be sure that we will meet in Turkey again. Thank you for your attendance and of course special thanks to Turkish Chess Federation and members of organiztion team for the perfect organization and their kind hospitality"
After Avner, Mr Velimirovic, Chief Arbiter, took the floor. "Everything was really great. I want to thank all the members of organization for their signature of such organization. I hope will come again Turkey. 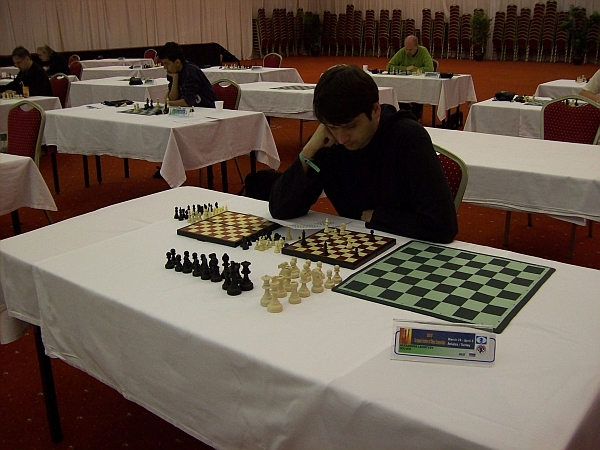 And also I want to congrulate Omer Deniz Gulbay, the youngest solver of tournament, for joining to this organization and for his perfect solution in end game tournament." Lastly, Mr Selivanov Vice President of FIDE, took the floor. " 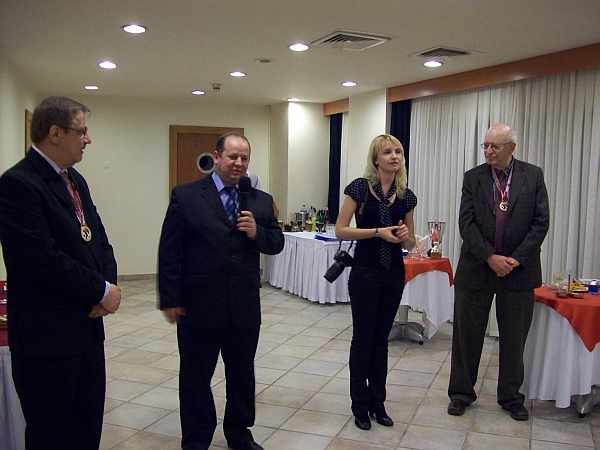 I want to thank all participants, president of Turkish Chess Federation Mr Yaz?c?, and organization team because of great organization"
Certainly, the most spectacular subject of the closing banquet was the perfect solution of Ömer's to a problem which hadn't been solved before by former World Solving Champion, Selivanov. 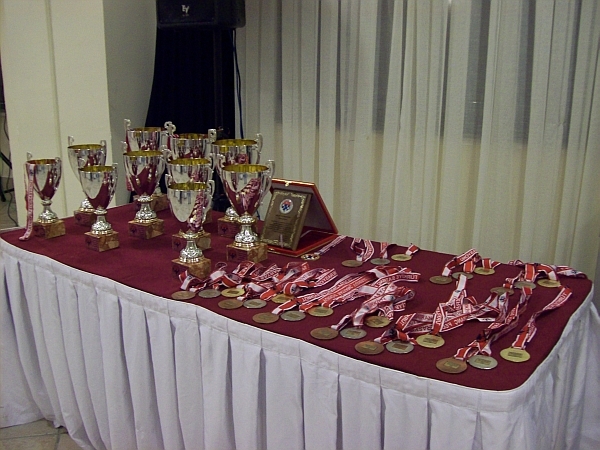 In the price ceremony, medals and trophies were delivered according to categories of Open Tourney, Open Quick Solving, Solving Show, Composing Tourney (4-day tourney that included 6 sections, 1-day tourney that included 4 sections). All results were published in the tournament web site. 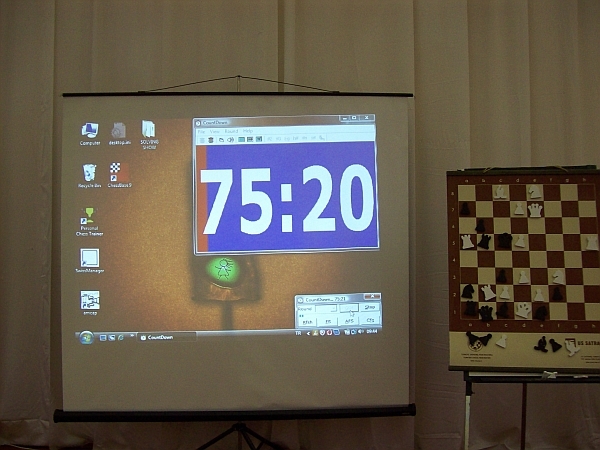 In the last day of the festival, End Game Solving tournament, whose concepts were natural chess positions with some artistic moves and events, was done with 23 solvers in 2 parts - 3 end games and 80 minutes for each part. By the closing banquet at 7 pm on April 2, the festival will complete.